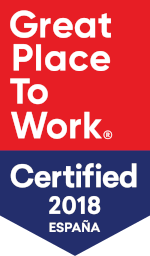 On October 2018, we have been certified as a Great Place to Work®, an amazing recognition that is given to companies that focus on employee satisfaction and well being. We are very proud to be on this list, a merit that could not be possible without the enthusiasm, compromise and loyalty of our team. After all, a big part of what satisfaction means to them is successfully delivering challenging projects! Having free time for your personal and family life is important. At S4G we offer work-at-home, flexitime and compressed hours solutions. Innovative ideas always originate from people, which is why S4G fosters collaboration and teamwork to create an environment that encourages the creation of these ideas and a relationship that goes beyond the professional sphere. S4G is aware of the time its employees spend at the office, so it has taken special care in office design. Working areas are spacious with designated areas for taking a break. At S4G we are always searching for the most talented profiles. We have an appraisal system to track each employee’s objectives, which is a fundamental part of professional growth. S4G also has a Salesforce certification plan for each member of the team, and these certifications are paid for by the company. S4G’s culture and its working environment encourage social interaction between employees. The organisation fosters this interaction with teambuilding events, organising theatrical improvisations in the company, outings to shows, go-karting, etc. In S4G Consulting we are looking for a proffesional that could get in to our development team in Madrid as Salesforce Developer. 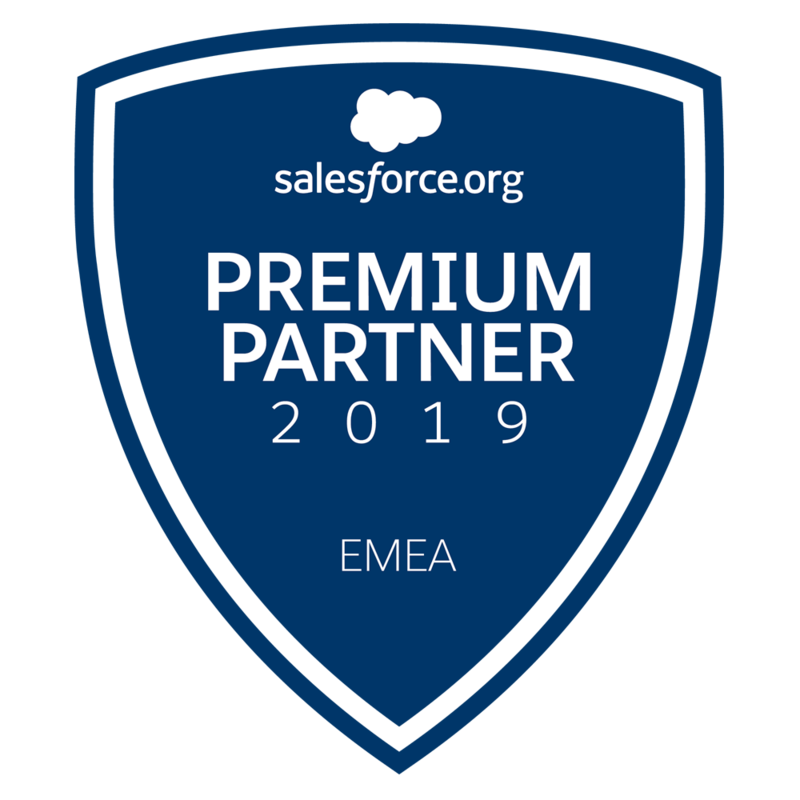 This person will be part of a growing company and he or she will have a very interesting proffesional development in one of the most important Salesforce comapnies in Spain. VisualForce and Lightning Components development. Automatic process defining: process builder, workflows, validation rules, flows, Apex Triggers. Integration: Rest and SOAP architecture. Salesforce tools: Data Loader and Data Loader Command Line. College graduates: Computing, Telecommunications or Similar. At least 2 years of experience in Salesforce Development. Pasionate about technologie and development. It will be valued i you have any SFDC official certifications. Experience in virtualized environments: AWS, EC2, Heroku, etc. Experience in development of mobiles platforms: Android, IOS. Thank you very much for your confidence and interest in sending us your candidacy. If your professional profile fits in the position, we will contact you as soon as possible. Otherwise we hope to be able to count on you in future processes. We are looking for an Account Manager Business Solutions to join our sales team. S4G is currently experiencing high growth and facing exciting challenges. For this reason, we are looking for a professional with broad experience who is able to be very successful selling Salesforce consulting projects. Selling business solutions based on Salesforce clouds, owner of a sales quota. Capture and develop business opportunities for new customers. Work closely with Salesforce Account Executives on opportunities generated by them. Responsible for the integral management of the sales process of the solution, with the support of presales consultants to evaluate and design the solutions. Reporting directly to our Sales Director. Minimum of 4 years experience on IT sales, having had sales quota. Bachelor degree in Business, Administration, Commerce, Marketing, Engineering or similar. In S4G Consulting we are looking for a proffesion that could get on board in our Marketing Cloud Team as Consultant in our team in Madrid. The proffesional that will get on board, will be part of a company that is growing and this person is going to have a very interesting proffesional development introducing himself or herself in the world of salesforce. Coordination and validation of Marketing Cloud solutions. Processes and strategies consulting in the digital marketing area for our clients. Marketing Cloud solutions coodination and validation. Take on of clients requirements. Support the commercial team and preselling of the Marketing Cloud projects. Manage the implantation of the Marketing Cloud toold during the implatation of Salesforce. Follow up of clients and their satisfaction. Good experience in Digital Marketing: implementation and management of digital marketing projects. Experience in CRM, Emailing, Marketing Inbound, SEM, SEO, etc. Experienci in Digital Marketing Technology. Experience or knowledge in Pardot, Marketing Cloud. S4G Consulting is looking for a Salesforce Business Analyst to join our Salesforce Consulting team as a Senior profile. The professional to be incorporated will be part of a fast growing company with attractive opportunities for professional growth. Detect and guide the customer on improvements in business processes. Roll out of the project on the Force.com and Salesforce platform. Customer liaison and project management. Training of users and administrators on the tool implanted. At least 3 years as a functional analyst in CRM. Conceptual knowledge of cloud and database technologies. Experience in requirements gathering and process analysis. Knowledge of project management methodologies: Agile, Waterfall or others. Knowledge of the various business processes, to be assessed across sectors. Good command of verbal and written communication. People skills, patient, proactive, customer-oriented, results-led, and high level of organisational ability. Good command of English valued. In S4G Consulting we are looking for a professional who joins our developer team in Madrid as a Senior Web Frontend Developer. The professional to be incorporated will be part of a fast growing company and will have an attractive career development plan, while being introduced to the Salesforce´s technological world. Programming of frontend layer (Bootstrap and Angular) within the Force.com and salesforce1 platform. DTP and application of design solutions with HTML5 and CSS3. Experience of at least 4 years in developing web applications. Experience in HTML5 and CSS3. Applying responsive design. Experience in Bootstrap or another similar framework. Experience in a server side web language: PHP, NodeJs, Python, Ruby. Experience in a server side framework: Symfony, Cake, SailsJs, or Django. Experience in integrations with REST/SOAP services. And their security and authentication models. Advanced level of English. Positively valued. Passion for technology, up-to-speed on the latest technologies and innovations. · Knowledge of cloud computing platforms and technologies such as Heroku, Amazon. We are looking for a Chief Salesforce Technical Architect to lead our growing and experienced Salesforce technical team. The professional to be incorporated will report directly to the COO and will be part of a fast growing company (50% YoY) with attractive opportunities for professional growth. Engagement for definition of architecture of key projects. Validation and control of technical designs of the team. Research and adoption of best practice. Broad experience in multiplatform integrations and correct patterns, with technologies such as: SOAP, REST, OAuth, ESB’s, BUS’s, etc. Broad experience in high-volume data handling in various DBs: MySql. Deep knowledge of SFDC security schema. Knowledge of Salesforce Sites, Communities, and website architecture in general. Knowledge of service-oriented design patterns. OOP experience in different languages: C++, Java, Python, NodeJs, etc. Experience in PM: SCRUM Agile. Experience in mobile platform development: Android, IOS. Lead a strong technical team of the firm ranked as 4th worldwide by Customer Rating (Appexchange). S4G Consulting is looking for a CRM Project Manager to join our Salesforce Consulting team in Madrid. The professional to be incorporated will be part of a fast growing company and will have an attractive career development plan, while being introduced to Salesforce’s technological world. Organization and planning of projects. Project management: managing the consultant and developer team, cost control, deadline, scope and risk management. Constant communication with the customers. At least 5 years as CRM project manager. High knowledge in software development methodologies: Agile Scrum, Waterfall or others. High knowledge as PM in multi-project environment. Experience with PM tools: JIRA, MS Project or other. High capacity of management and organization. Knowledge of Cloud Enterprise technologies. Very motivated to work with Salesforce technology. Demonstrable leadership skills in managing projects. In S4G Consulting we are looking for people willing to learn and develop their career in one of the top technologies in the current market, Salesforce. Te onboarding will be in March 2019, full time with a fixed salary. We offer a two months period of training, included in the permanent contract. An amazing career plan and also an official Salesforce certifications plan. Computing solutions configuration and development, oriented to the client business always done in the Salesforce platform. Incident solving and maintenance tasks. Collaborate in the generation of documents for the projects. Collaborate in the business process analysis. Be part of the full cycle of the project implantation of Salesforce. Train final users of the platform. Attend the request takeover with the client. A degree in engineering, maths, statistics or a Masters degree. Experience in consultancy could be valuable. Be interested in new technologies, CRM´s and Salesforce. Be a person that loves working on their own, independent and self-learner, with high learning and initiative capacity. Be careful about the discipline, quality, and precision. Desirable a B1 english level or superior. Learn about programming in Salesforce. Configuration and development of technical solutions orientated to the business in Salesforce Platforms (apex, lightning components, triggers). Modeling and deployment of data learning. Integration learning: REST and SOAP architecture. A degree in computing science (or similar), maths, statistics or a Masters degree. OOP knowledge, especially knowledge in front or backend development, programming languages such as_ PHP, Java, Python or similar. Data Base and SQL knowledge. Be passionate about technology and programming.